What do you know about the knobbly armoured, scarlet creature staring back at you from your fancy dinner plate? Since there are species of lobsters without claws, then what exactly is a lobster? To answer these questions Richard J. King, a former fishmonger and commercial lobsterman, has chronicled the creature's long and complex history. Lobster takes us on a journey through the history, biology, cuisine and culture of lobsters, and their economic and environmental status worldwide. King describes how the lobster is an international commodity, and how the American lobster fishery is arguably one of the last healthy wild fisheries left on Earth. The author describes the evolution of technologies to capture these creatures, and addresses the ethics of boiling them alive. He also explores the salacious lobster palaces of the 1920s, as well as the animal’s thousand-year status as an aphrodisiac, and how it has inspired numerous artists, writers and thinkers including Aristotle, Dickens, Thoreau, Dalí and Woody Allen. 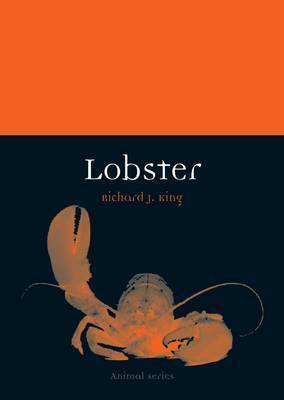 Lobster is an essential read for anyone with an appetite for the world’s best-known and most delicious crustacean. In this carefully researched and highly readable account for both the scholar and the more casual reader, King travels from Hawaii to Maine, and from Scotland to Western Australia, to describe the human connection with the lobster, from ocean bottom to buttery plate. "In Lobster, Richard King, a self-proclaimed “lobsterologist” (a word he invented, I think – I love it), offers a more personal excursion into the subject . . . Mr. King also introduces a great deal of cultural history, touching on a broad range of topics related to lobsters, including the lives of fishermen (or lobstermen, as we call them in New England), lobster-fishing techniques, and the role of lobsters in art . . . skillfully written."